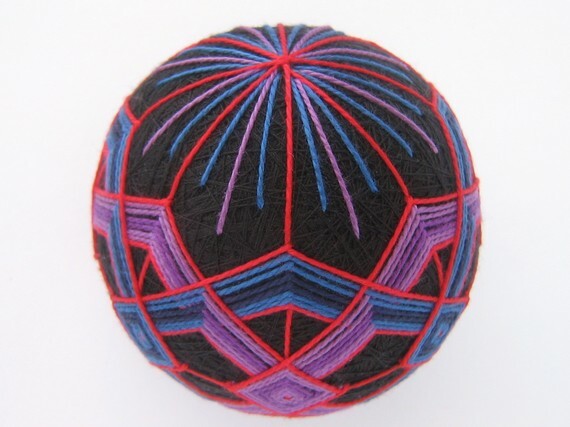 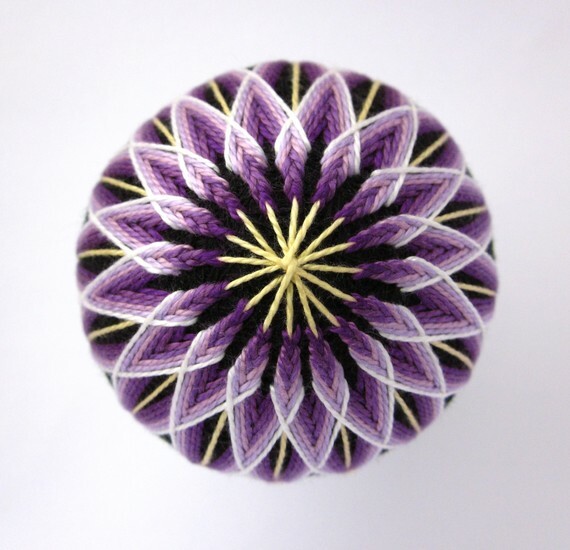 Japanese temari are little balls that are embroidered with different colored cloth. 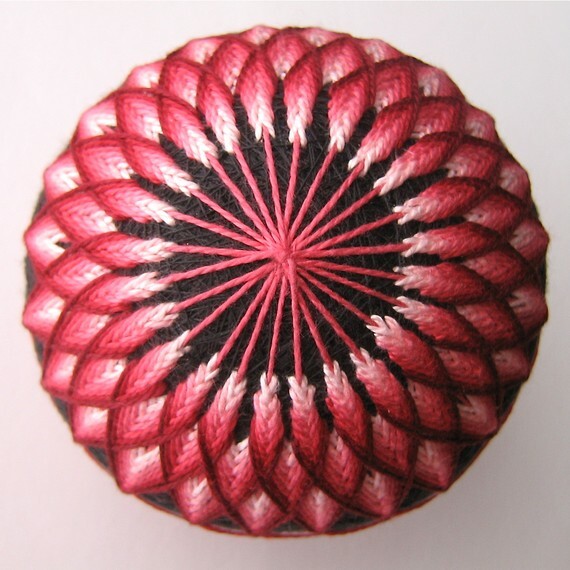 They started as balled up pieces of old kimonos that were wrapped in the silk threads pulled out of the kimono fabric. 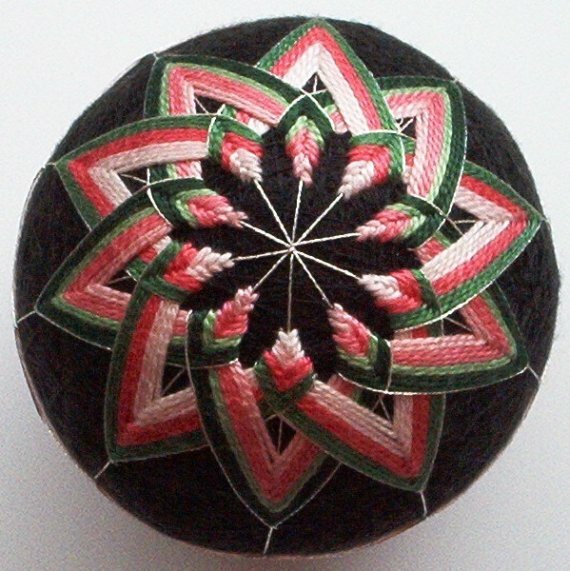 Today they still exist as a decorative art, and I stumbled across an Etsy seller making them today. 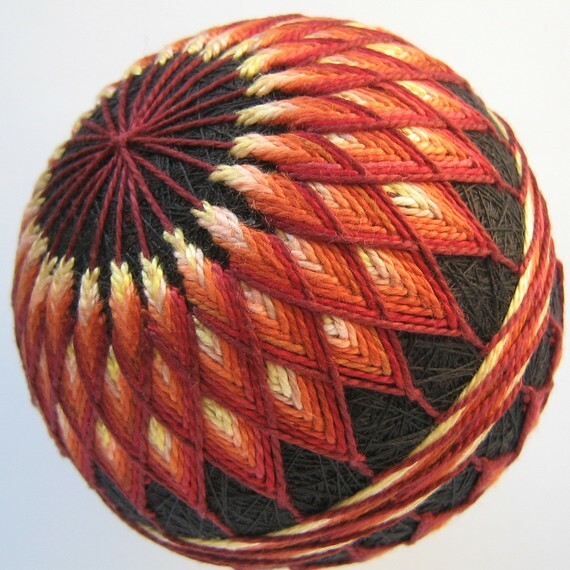 I love seeing other shops that are using traditional textile arts as their inspiration, and I thought the colors and patterns were just too pretty not to feature here. 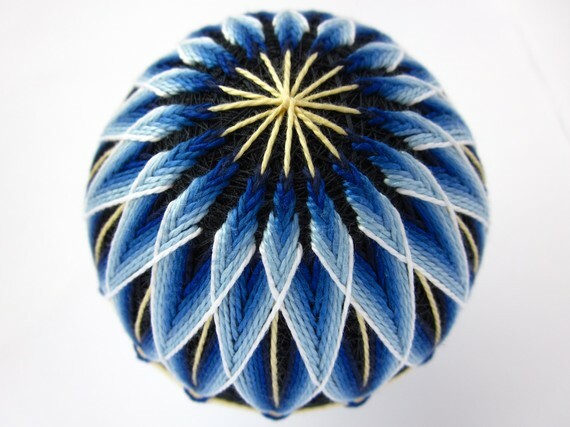 You can see the full line of Julie and Co. temari right here.